WE ARE HERE TO OFFER CUSTOM INSURANCE PRODUCTS AND PROFESSIONAL RISK MANAGMENT SERVICES. The McManus Agency is committed to delivering the highest level of service and professional risk management guidance to our clients. 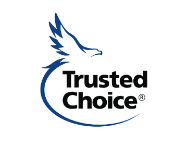 As a Trusted Choice independent agency, we are dedicated in offering custom insurance products, competitive options, and truly professional insurance advocacy for our clientele. Whether its commercial insurance, comprehensive personal insurance programs, or specialty coverage, The McManus Agency has the expertise to help you move forward confidently. Contact us today to begin your personalized insurance review.